I've been thinking about spending time making projects from books I purchased as not only a way to use them, but also to teach and inspire myself. 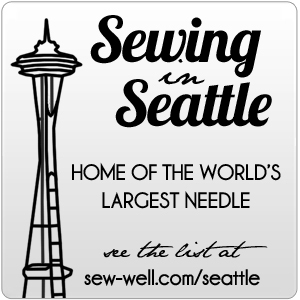 As I was looking over the Farbenmix FB page, I happened upon a post about a sew-along that was starting that very day! Hello awesome timing! Perfect alignement with the universe and most definitely a message from the Divine encouraging me to take the next steps on my book projects journey. Years ago I bought the book "Sewing Clothes Kids Love" which includes patterns by Sabine of Farbenmix and Nancy of StudioTANTRUM. I did make the Insa Skirt, but I've been dreaming of making more from the book. I'm not sure if making patterns from SCKL will be considered a valid entry, but that's what I want to do right now. So, I'll play along, size up the kids patterns to fit me and make what I'm dreaming of!